Built for Aunty by Acorn and beloved of schools across the UK, the BBC Micro is about as British as it gets so our non-UK readers will be forgiven for not having the slightest clue what it is. So to enlighten them; from 1984 to 1990 the BBC Micro was the computer that the majority of British children learned computing basics with at school. 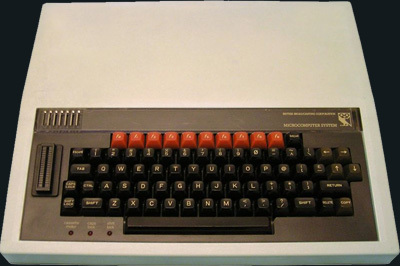 Developed by Acorn to accompany a BBC television series on computing, this computer became the mainstay of educational computing throughout the eighties. Incredibly expandable, the BBC's range of peripherals included robot kits and a videodisc drive designed specifically for the ill-fated BBC Domesday Project of 1986. Beebem - The best BBC Micro emulator by a long way. Stariway to Hell - Great for picking up game files. The BBC Lives - Great BBC info site.